Many fishermen believe shallow water is good only in the spring. In some waters, that may be the case. However, the majority of lakes and rivers have crappie in shallow water most of the year. Their numbers will be lower than in spring. They’ll also change with varying conditions, water temperature and fishing pressure, but they will be there. 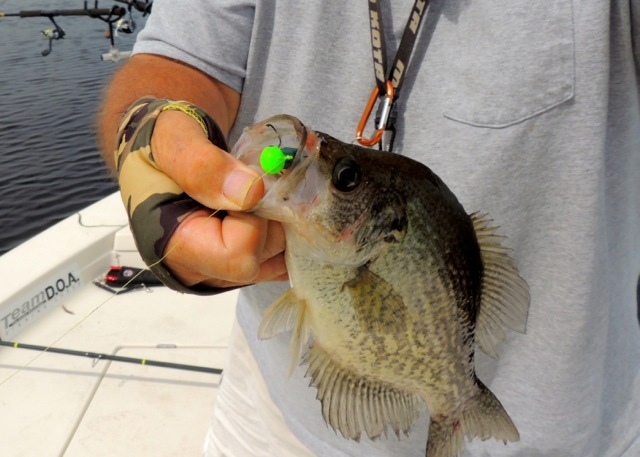 The trick is paying attention to where crappie are located. For example, they may be in four to five feet of water on a southern bank with laydowns. It’s important to try other similar, southern banks to learn if that is a pattern. If it is, you can continue to catch crappie by replicating the locations, presentations and baits.